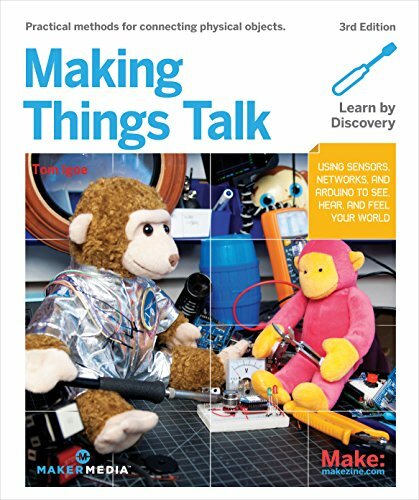 9781680452150 | 3 edition (Make Books, September 25, 2016), cover price $39.99 | About this edition: The workbenches of hobbyists, hackers, and makers have become overrun with microcontrollers, computers-on-a-chip that power homebrewed video games, robots, toys, and more. 9781449392437 | 2 edition (Oreilly & Associates Inc, September 23, 2011), cover price $34.99 | About this edition: Make microcontrollers, PCs, servers, and smartphones talk to each other. 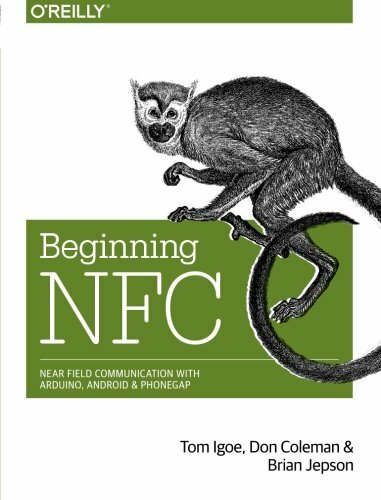 9781449372064, titled "Beginning NFC: Near Field Communication With Arduino, Android, and PhoneGap" | Oreilly & Associates Inc, February 3, 2014, cover price $29.99 | About this edition: Jump into the world of Near Field Communications (NFC), the fast-growing technology that lets devices in close proximity exchange data, using radio signals. 9781449308520 | Oreilly & Associates Inc, September 22, 2013, cover price $29.99 | About this edition: NFC, or Near Field Communication, is a protocol for the contactless exchange of data between devices (such as the Android-powered Nexus S) and/or certain kinds of tags. 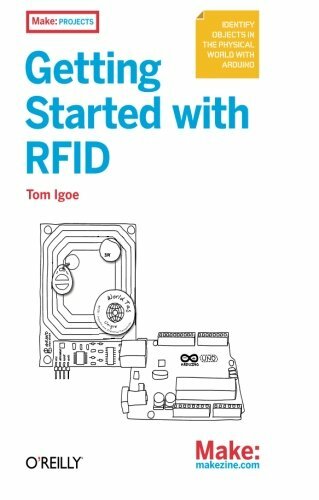 9781449324186 | Oreilly & Associates Inc, March 21, 2012, cover price $5.99 | About this edition: If you want to experiment with radio frequency identification (RFID), this book is the perfect place to start. 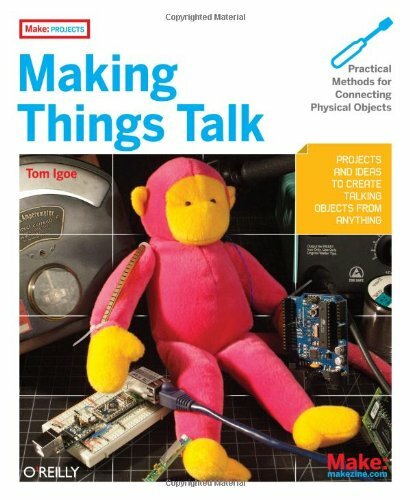 Provides instructions for building a variety of projects that are able to communicate with one another, including a video game controlled by a stuffed monkey and a battery powered GPS that reports its location over Bluetooth. 9780596510510 | Oreilly & Associates Inc, September 1, 2007, cover price $29.99 | About this edition: Provides instructions for building a variety of projects that are able to communicate with one another, including a video game controlled by a stuffed monkey and a battery powered GPS that reports its location over Bluetooth.